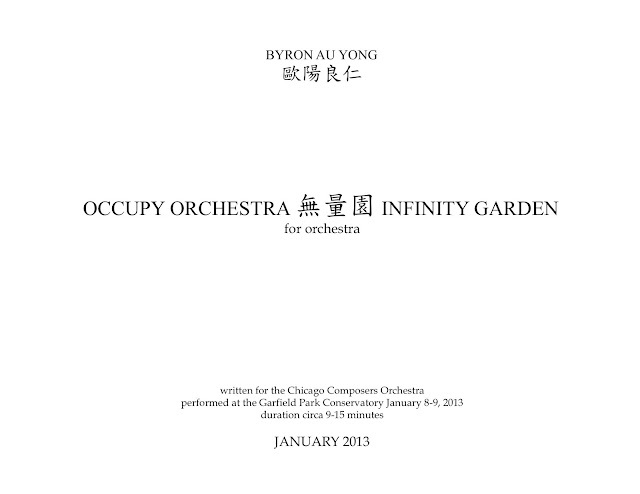 On January 8-9, 2013, the Chicago Composers Orchestra performs Occupy Orchestra 無量園 Infinity Garden. This free concert features nearly 40 classical musicians in the Garfield Park Conservatory in Chicago. To help me attend the rehearsals & performance, I offer signed copies of the score for $88. (Lay 8 down to get ∞: an infinity symbol.) In appreciation, receive a folio of 19 (10.5"x14.5") pages with a personally dedicated cover. If five people purchase this score I will have paid for my airfare from Seattle to Chicago. Here is an example of one of the pages you will receive. 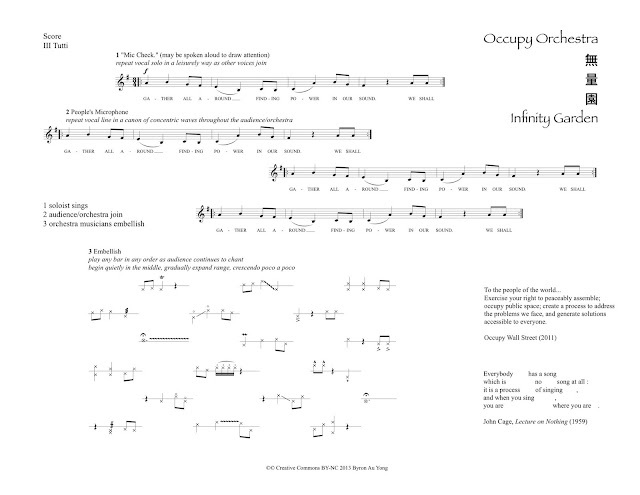 Note: Occupy Orchestra 無量園 Infinity Garden is under a Creative Commons Attribution Non-Commercial License. Contact me to perform this work.